How much sugar is hiding in your favorites? Had to share this article forward, since it speaks to a topic near and dear to my heart, sugar. It is a love/hate relationship, mostly love. Isn’t it with most of us? Mindfulness is what I encourage. Be aware of the bazillion sources of sugar in your food and be consumer savvy when it comes to reading the labels (misleading, see below). Take a peek at some recent examples sent in by readers of That Sugar Film Blog…. “We recently reached out to you all, asking for pictures of labels on food packaging you have found to be misleading regarding health claims and sugar content. Thank you to all who contributed – you have been amazing! Claim: 50% less sugar & calories than the leading orange juice. The concern: Firstly, what is the ‘leading orange juice’? And do fewer calories necessarily mean it is better for us? The amount of sugar in a standard Tropicana OJ has been partly replaced in this healthified offering from PepsiCo by stevia and maltodextrin. Even so, 1 cup of Trop50 provides 2.5tsp of added sugar – over a third of the recommended limit (for health benefits). The ingredient list includes added sweeteners and flavours, which seem at odds with the idea this product is better for you (and will help you “make friends with your miniskirt”). At least the premium Tropicana OJ is only orange juice! Despite promoting itself as the healthier juice cousin you’d be better off eating an orange. At least an orange doesn’t need corn maltodextrin to make it palatable. Claim: 50% less sugar; Excellent fibre source; One serve of Reduced Sugar Craisins meets 50% of you daily recommended fruit needs. Sugar content: 14g sugar/40g serve. The concern: Okay – the added sugar content is less than regular Craisins, but 3.5 tsp are delivered in one serve, and artificial sweeteners have been added into the mix. The fibre content has gone up…because a soluble fibre has been added to mix. It isn’t like the naturally occurring stuff from the fruit managed to explode in quantity. Finally, to claim it is suitable as one of the two serves of fruit is dangerous. A fresh piece of fruit contains water, which leave you fuller and eating less fruit sugar overall. Additionally, fresh fruit does not contain added sugars. Not – I repeat – not a good alternative to a handful of berries or an apple. Claim: 30% less sugar; No artificial sweeteners, No artificial colours, No artificial flavours. The concern: Sure it may have less sugar than its old school sugared up formula, but this still packs an added sugar punch with nearly 4tsp per serve – the maximum of what we want our littlies to consume in a day. Not ideal considering our kids are most likely to be consuming such beverages. Claim: No artificial colours or flavours; Made with real fruit, 3 Star health rating. The concern: The overall sugar content isn’t horrific. However, sugar has been added, but why considering the concentrated fruit paste rammed in? Fruit straps when made at home can be nothing but fruit. Looking closely at the ingredient list, one of the final ingredients is ‘Vegetables and Plants’. I suppose that is meant to make us feel better! Roll Ups also contain an array of highly processed wheat, corn and oil in amongst the sticky fruit mess, which is not ideal. And this stuff can get firmly wedged into the teeth wreaking all kinds of dental havoc! Claim: Protein packed; Filling and yummy; No added sugar; Wheat, gluten & dairy free; 100% natural ingredients. The concern: The sugar content from this product is mostly from the dried fruit such as dates and raisins, with a little added sugar from apple juice concentrate. Whilst technically not an added sugar, fructose and glucose from dried fruits can easily be consumed in high amounts due to the lack of water content provided in the fresh fruit. Fortunately, this product does contain some healthy protein and fat from nuts, which can help mitigate the influx of simple sugar into the blood stream. One bar provides 8-10% of recommended daily protein intake. I would think this is more fruit packed than protein packed. Holy wow! Overall, I am bothered. Are you bothered? Studies have found that the food industry can quite easily obscure the not-so-great elements of our pre-made foods with claims of being ‘healthy’ or ‘natural’.1 The consequence is we unknowingly over consume excess added, refined, nutritionally devoid foods and sugars. How confusing! And kind of mean, don’t you think? We believe we are doing the right thing, and place faith in the manufacturers. The reality is we need to educate ourselves, and dig only just below the surface to get a real indication of what we are shoving in our gobs. Ultimately, as we always bang on about here at that sugar, if you can focus our purchasing and munching efforts on real whole fresh foods, then you are onto the best thing! What is important to keep in mind is how your cocktails are metabolized in your body. Simply think of all alcoholic drinks as carbohydrates in liquid form. Here is an interesting chart from “That Sugar Guide” to help reveal the true metabolic value in some favored cocktails in terms of teaspoons of sugar. To clarify further, moderate consumption of alcohol translates into 1-2 servings for men and 1 serving for women per day. Serving size means 8oz. beer, 4 oz of wine, meaning 1/2 of the serving in most restaurants. If you are trying to watch your wasteline, I recommend 1 serving per week. Even though this news may be disappointing to some, it does not mean that alcohol is off the table completely for anyone. Celebrate, CHEERS! Refined Sugar vs. Saturated Fat: What’s More Likely To Cause Coronary Heart Disease? With coronary heart disease (CHD) killing more than 370,000 people every year in the United States, a team of researchers from Saint Luke’s Mid America Heart Institute and Albert Einstein College of Medicine were interested in seeing what’s worse for the heart — saturated fats or refined sugars? Their findings, published in Progress in Cardiovascular Diseases, argues that, after years of believing fat was worse, it could have been sugar all along. In addition, consuming large quantities of processed sugar, such as high fructose corn syrup and table sugar can lead to leptin resistance — leptin is a hormone responsible for regulating normal body weight. 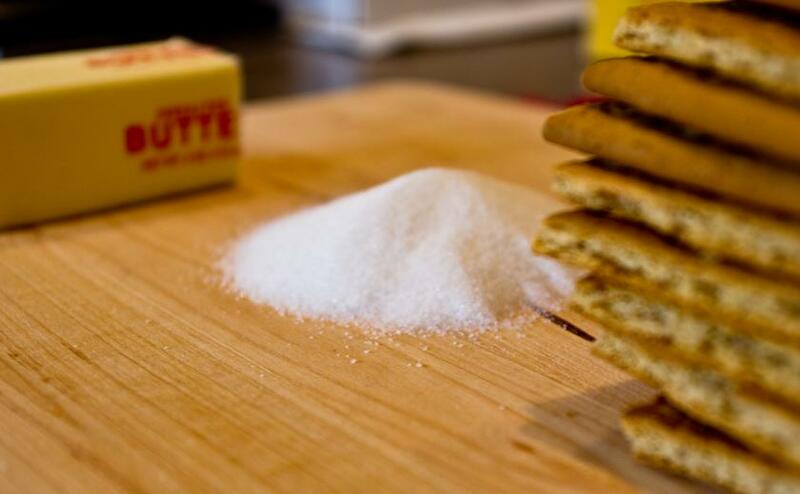 Diets high in processed sugars promote type 2 diabetes, which also lead to a much greater risk for CHD compared to patients maintaining a healthy diet. Saturated fats have been demonized for years, subsequently leading many consumers to avoid animal products like red meat, poultry, and dairy. These types of fat were first blamed for causing high rates of heart disease in the 1950s, when scientist Ancel Keys observed those who ate diets high in saturated fats also had higher rates of heart disease. But those same people were also eating a lot of refined sugar. DiNicolantonio pointed out this is the reason why past studies, which the longstanding guidelines have been based on, found saturated fats had a negative impact on heart health. The studies were largely observational, however, and didn’t involve intensive investigation. Had past researchers conducted proper studies to determine the cause of CHD, they would’ve realized sooner that refined sugar impacts risk more. Today, troves of evidence-based research have overwhelmed the weaker observational studies, revealing Keys was wrong all along. Most recently, a study published in the journal Circulation, found drinking sugary drinks each day increased dangerous fat in the body and increased risk of heart disease and type 2 diabetes. Another study, published in the journal Heart, found people who drank at least two sugary drinks a day increased their risk of heart failure by 25 percent. Source: O’Keefe JH, DiNicolantonio JJ, and Lucan SC. The Evidence for Saturated Fat and For Sugar Related to Coronary Heart Disease. Progress in Cardiovascular Diseases. 2016. In honor of National Candy Day, I am posting a review of a documentary called “That Sugar Film.” It includes several points I emphasize about hidden sugars. What is labeled as “healthy” may not be healthy at all. It is amazing what 60 days of eating only hidden sources of sugar can do to our bodies. I’ve added a few comments in blue. “I am an advocate for a healthier life, for greener living, and for putting consumer dollars behind authentic, responsible brands. Me too! As they say, freedom of choice and informed decisions comes from freedom of information…” Being informed allows us to make decisions about where we want sugar in our lives and where we don’t. Let’s just say that he hits the daily 40-teaspoon mark with ease. Sadly, so do most of us. You really have to be a savvy consumer to avoid hidden sugars, especially now! Why? Because they are even more hidden in labels than ever before. 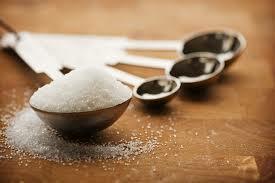 Did you know there are over 300 names for sugars? At the experiment’s conclusion, the team looks at changes in Damon’s blood sugar, heart, liver, and the liver’s production of fat. The results make it clear that too much sugar is quite clearly detrimental to our health, to our weight, and to our well being. When they say that we are what we eat, they really aren’t kidding. Interestingly, his calorie intake is almost exactly the same as it was before the experiment. The take home message is that a calorie is not a calorie! We will be seeing more about this in the news for sure. Sugar does not have a lot of calories, though calories from sugar apparently behave very differently than calories derived from other sources. In fact, a recent article in the British Medical Journal stated that sugar, not physical inactivity, is creating the obesity epidemic. Did you know that if you remove all of the packaged goods containing added sugar from supermarket shelves, just 20% of items would remain? It turns out that Damon spent the same amount ($$$) at the supermarket both before and during the experiment. It is not more of a financial hardship, as some might assume, to purchase truly healthy fare than it is to purchase sugar-filled products that are simply marketed as healthy. This past March, in fact, the University of California at Can Francisco broke news about the finding of documents revealing that the sugar industry worked closely with the National Institutes of Health in the 1960s and ‘70s to develop a federal research program focused on approaches other than sugar reduction to prevent tooth decay in American children. Part of being a savvy consumer is knowing who is funding the research and headlines you are reading. If you haven’t seen the film yet, it is now available to rent and view online. Google “That Sugar Film!” I am here to help you make sense of the senselessness of hidden sugars. Grab your friends, and let’s do a small group session, online or in person, to help you gain direction and perspective with your eating habits.